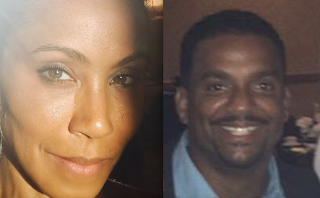 Last night Jada Pinkett-Smith and her husband Will Smith claimed Jada dated Will's Fresh Prince of Bel-Air co-star Alfonso Ribero before hooking-up with Will [click here if you missed that]. Alfonso says it wasn't a date. Daaaaaaamn. 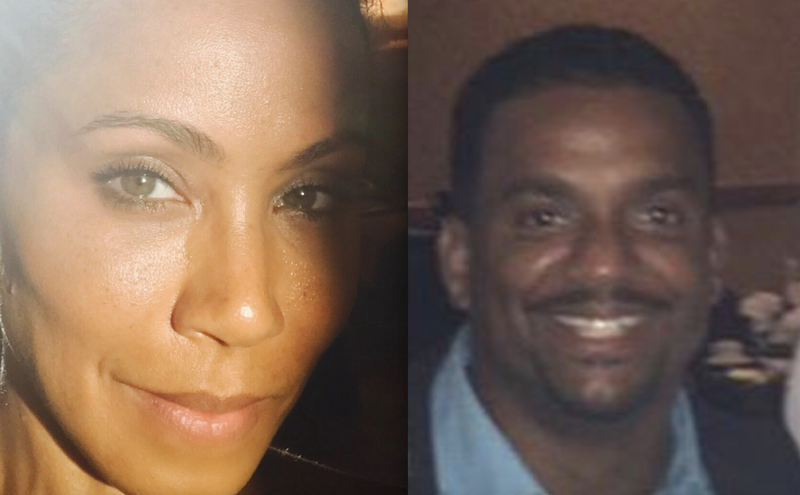 How the fvck you get curved by CARLTON!!!!! HAHAHA. Everybody knows he doesnt like Black women. 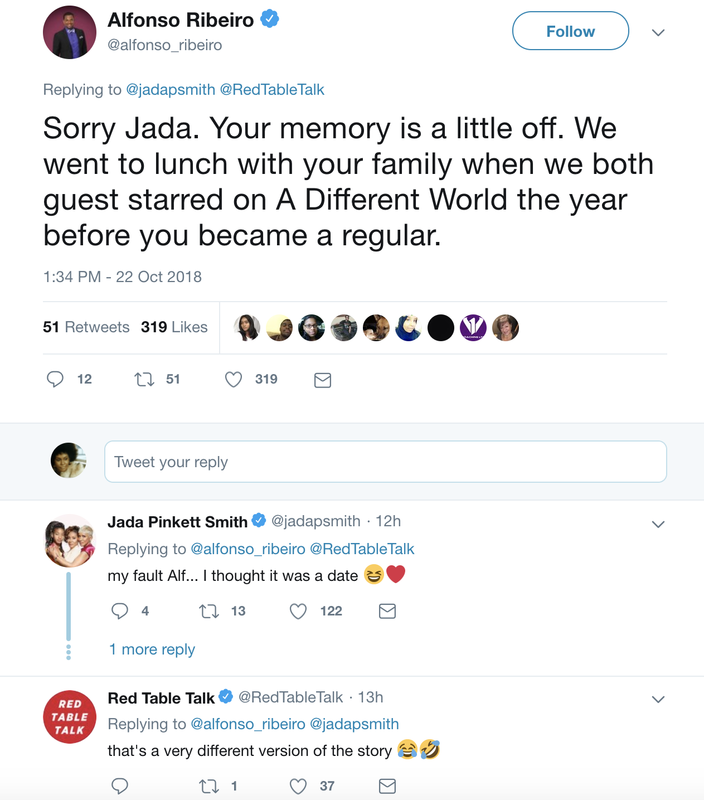 Take the L Jada. Please he would have been lucky if Jada was checking for him. It was a long time ago and its not that serious. CURVED... stop it. Thanks Alphonso! Now if Tupac could just clear up her delusions of him seeing her as more than just the homegirl back in the day. He is CLEARING it up because it would look like Will "pulled" her from him. Ouch. 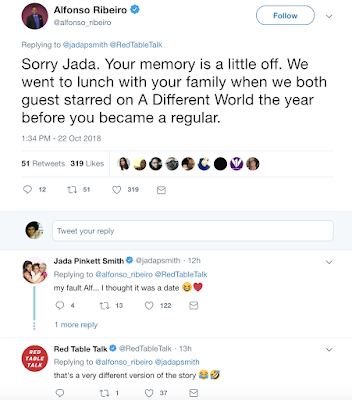 How to get burned by the biggest goofball in showbiz, way to go Jada! Bet she's wanting the ground to open up and swallow her after that. Agreed! Damn, ain't they friends? He came at her way too hard! I totally heard that snarky Carlton voice when I read that.